Take charge of your style with this on trend timepiece. This classic collection is timeless and effortlessly smart, an ideal gift for any gent. 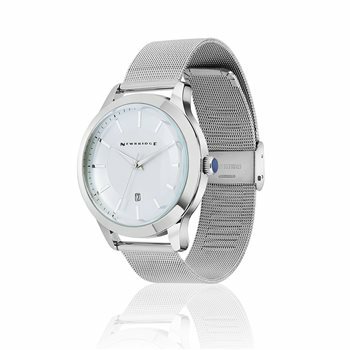 IPS Plated gents watch with a protective anti tarnish layer, mesh style adjustable strap, white face with Newbridge logo, stainless steel backing, presented in a Newbridge Silverware gift box. Length 240mm.